An effective tenant screening process can reduce or mitigate the possibility of a bad tenant and reduces the cost, stress, anxiety and uncertainty that comes with managing properties. Tenant screening allows you to differentiate between a responsible tenant from an irresponsible one, and a non-paying tenant from a paying one. The cost of a single eviction can cost you lost money and time and no landlord or property manager should ever think twice about paying for a professional background check. Tenant evictions can range anywhere from $100 to thousands of dollars. These costs may include court & attorney costs, sheriff’s fees, cleaning & property repair costs. This does not even include the lost revenue from an empty unit or repair costs. If you are worried about the expense of paying for a professional tenant screening, you should know that tenant screenings can actually be FREE to you. 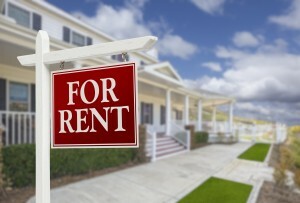 Property managers often build the cost of tenant screening into the application fee. Property managers also say the cost only deters renters who cannot afford the minimal cost of an application fee. How are they planning to afford rent or the security deposit if they cannot pay the minimal application fee? Social Security Number Verification: The SSN report shows you a complete address history of the applicant and confirms that the SSN given really does belong to them. Essentially, the SSN report determines if the person is who they say they are and it is critical to the accuracy of the other reports. InstaCriminal Nationwide Search: This will show the landlord if the tenant applicant has had criminal issues in your state, or any other state. Depending on the reporting jurisdiction, these criminal reports typically report back 7-10 years and longer in many jurisdictions. Tenant Credit Report with FICO Score: A credit report is critical to determining if the applicant can afford to rent from you. The credit report with FICO score not only show any delinquencies or payment habits the applicant may have but it will show their current obligations as well as an indication of their ability to pay. InstaEviction National Search: This report searches the tenant for evictions, liens & judgments filed from all 50 states and the District of Columbia, including statewide and county eviction records. The economic challenges facing our nation have created particular problems for landlords and residential property managers. Tenants who have lost jobs and income have found themselves unable to meet their contractual agreements; turnover in rental units has skyrocketed and those who have lost homes through mortgage problems are seeking new places to live.Experience shows that previous rental experience is an accurate predictor of future rental behavior. But simply being presented with raw search data, like eviction records, previous landlord inquiries and court actions, is complicated to interpret for untrained individuals.